The internet is blowing up with Colin Kaepernick’s recent decision to remain seated during the playing of the national anthem. What a jerk, people say. If he doesn’t like it here, he should leave, they say. Well, my friends, that same flag you’re protecting—and the Constitution it represents—gives him the right to show his displeasure. Just as it gives you the right to protest his behavior. I’m not saying I agree with his decision. In fact, I was sad to see it. I’ve always stood for The Star Spangled Banner, even though there are many things going on in this country that break the heart my hand is covering. Still, if I would choose to sit in quiet protest, I have a right to do that. Both my grandfathers and my father fought for this country. They didn’t just serve, they fought. With guns and grenades and bombs. They placed themselves in mortal danger and were even wounded doing so, and I love them all the more for it. And yes, I hope all our citizens respect that kind of service and honor their commitment to perpetuating the liberties we all enjoy. Including the liberty to express one’s opinion. Think about it, folks. This country was founded on the right to speak out. In fact, the Declaration of Independence, the Constitution, and the Bill of Rights (the first amendment of which is the one we’re discussing here) represent a fundamental protest against government. Our freedom of speech exists today because a bunch of powdered-haired (white) dudes went rogue and told their rulers they didn’t like what was going on. It’s not important whether you agree with CK. It’s not important whether he’s right or wrong or whether you think he is. What IS important is that, like it or not, our founding fathers and every soldier who followed fought for this guy’s right to sit down during the national anthem. If we tell this guy he can’t express himself, what are people going to be able to tell YOU you can’t do or say? Which means you can continue to protest, just like he can continue to sit. The same First Amendment supports you both. Think about it. Yesterday I left my family’s Thanksgiving festivities feeling full, not only of food, but also–and especially–of love and warmth and goodwill. Compared to most of the world, I have a lot. My modest house might need a good cleaning, but it keeps me safe from the elements and has more than enough room for my kids, my dog and me. I live on a budget like everyone else, but my family has never lacked food or clothing or health care. 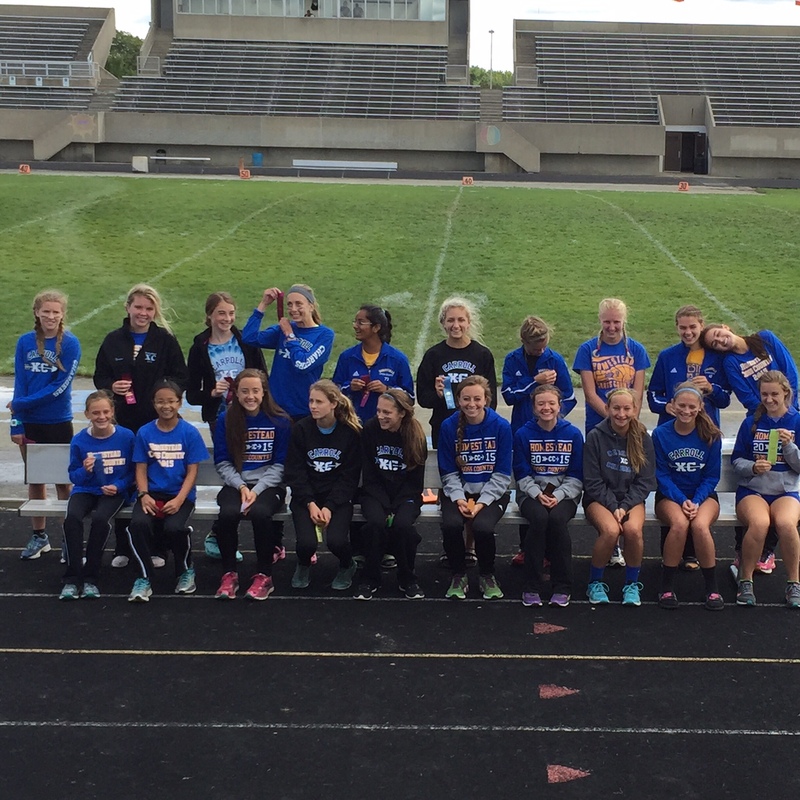 I’ve gotten to see much of the world, Most importantly, I have a big, quirky, loving family with open hearts. All those things were in my psyche, if not my consciousness, yesterday when I saw a woman standing on a corner not two blocks from the feast I had just left, tapping her wrist questioningly in the universal symbol of “What time is it?” I slowed to a stop, rolled down the passenger window, and leaned across my daughter to tell the woman it was close to 5pm. She needed a ride to the next bus stop, she said. She wanted to take the city bus downtown to the Greyhound station, where she would catch a ride to Wisconsin and her grandmother’s funeral. She was sad and she needed help. As my so-called street smarts kicked in and an invisible voice told me “Drive away, Tammy, this is a bad idea,” I heard myself telling my son to make room for the woman in the back seat. I’ll spare you the details, but the ride to the bus stop turned into tears and a donation of $40 for the ticket. By the time I let the woman out of the car to make her way to Greyhound, I felt more than a little uneasy and wondered if I had been the one who had just been taken for a ride. I’m doubtful that the woman actually took that bus trip. I had helped someone in need, but I felt bad. It bothered me all night long and into today, until I recounted the scenario to my brother. We have to keep helping people, even when there may be danger involved, simply because it is the right thing to do. It sickens me when others use a cry of Never forget! in response to acts of violence or terrorism, not to make the world a better place, but to justify their own prejudices. And yet I still felt silly for having tried to help that woman. I wondered if I had put my children in danger, if she was really who she said she was, where that money was really going to be spent. Then I remembered something I had posted on my Facebook page just last week. To the people who cite our nation’s hungry and homeless population as a reason to close our borders, please tell me what YOU’RE doing to help the people you call “ours.” If you’re just spouting statistics that you found on the internet from the comfort of your warm house with a full belly, I’m not listening. And if you want to do something about it but don’t know how to help, contact Donnie/Kelly Foster (MISFITS), Street Reach for the Homeless, Samaritan Homeless Clinic (Dayton), or just head downtown with blankets and food. If you really care that much, let’s do something about it. You know what? I DID something about it. I don’t know how it turned out, but that’s not mine to judge. I walked my talk, and today I feel good about that. This year, more than anything, I’m thankful for a heart that sometimes has to guide my mind when I try to think too much, and for a brother who keeps me pointed in the right direction. The next time you hear the words Never forget! be sure that what you’re remembering is how to be a better person and how NOT to let the actions of a few justify anger and hatred, no matter how scared you are. Never forget that preserving our existence is not worth the sacrifice of our humanity. It’s no secret that the mere thought of Black Friday sends shudders down my spine. It’s also no secret that I love good marketing–which, thronging hordes of turkey-belching people aside, is a big part of my aversion to this crazy day. (Read why HERE.) I stoically refuse to join the masses and stay home. Every. Single. Year. Yesterday I came across an organized alternative to the shopping frenzy, and I rejoiced. In fact, I’m still rejoicing. The surprising part is that the alternative comes from a retailer. Instead of discounting to the masses, REI has decided to close all 143 of its stores and encourage employees (and customers!) to go outside. If you aren’t impressed, remember that Black Friday is the biggest retail shopping day of the year. Still not impressed? The company will pay its 12,000 employees anyway. No revenue + paying employees = an expensive proposition. That’s taking a stand for your brand. And that’s why I love this idea so much. Who better to promote outdoorsy-ness than REI, a seller of outdoor gear and clothing, a company which professes that “for 76 years our passion has been to bring you great gear to get you out, too”? Sure, giving up a (big) day of sales is a gamble for a retailer, but oh, how very authentic its brand just became for me. The company believes so much in its mission (“we are dedicated to inspiring, educating and outfitting its members and the community for a lifetime of outdoor adventure and stewardship”) that it intends to make the mission a reality–not just a sales gimmick. And that’s the brilliant part of branding: walking the talk. It’s what makes people seek you out. It’s what keep them coming back. It’s what builds your tribe. When people believe what you say about yourself because they see you doing it, they trust you. With that trust, you start building loyalty. If you’re an individual, that’s how you make friends. If you’re a company, that’s how you grow your customer base. Sure, REI is taking a risk with this move. It may prove too expensive for them to be able to ever do again, but I’m betting it will pay off in the long run. After all, when you focus on fulfilling the mission and not the sale, you usually end up succeeding at both. I really, truly believe that. 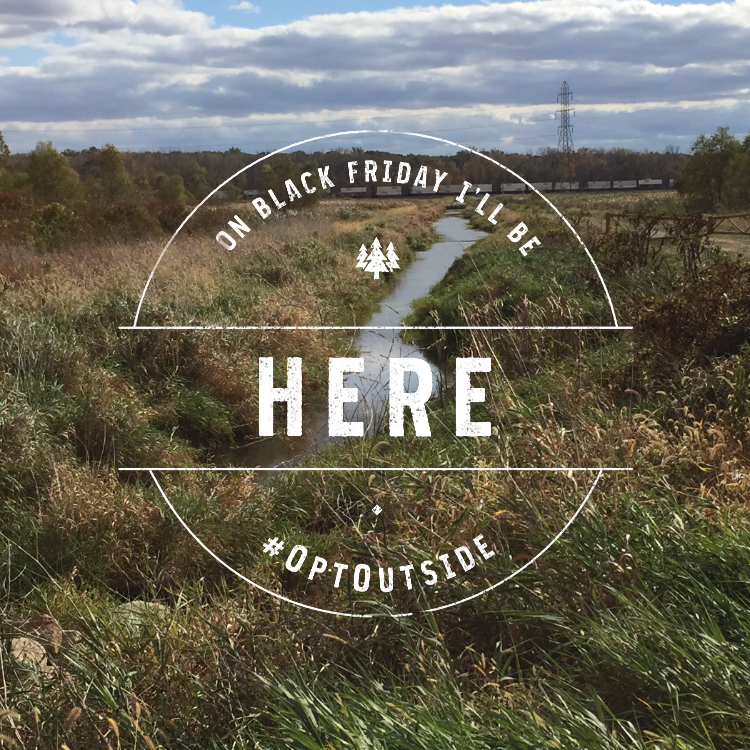 While I wait to see how it turns out, I’m joining the movement; I’m going to #OptOutside. Kudos, REI, for the on-point brand lesson. Read the Forbes article about #OptOutside HERE. Check out the REI Opt Outside website HERE. In honor of last weekend’s forward leap into Daylight Savings Time, I’m resurrecting this post from May 2011. Thanks for indulging my recent need to revisit the old stuff! Until very recently, my home state (Indiana) did not observe Daylight Savings Time. The magical days in the spring and fall that shift time on its axis were simply not part of my consciousness. That explains how I missed a flight in my sophomore year of college when returning from spring break. It was the day time sprang forward, and I arrived at the airport thinking the I had plenty of time, when in fact my plane had just left. Since that time, I’ve become a much more seasoned traveler and I know that the protocol that follows missing a flight is pretty straightforward. The airline puts you on the next available flight and you go on. You might be late getting where you’re going and you might have to adjust your plans, but you adapt and keep moving. Unfortunately, I wasn’t quite that equanimous back then. When I talked to the agent at the counter, I was rattled and she could see it. She saw me as easy prey. Suddenly, she spun my missed flight into a big deal. The process of rescheduling and rerouting me became a Herculean task, one that would have been insurmountable by a lesser gate agent. She, however, deftly jumped the hurdles caused by my ineptitude, and through her own superiority, solved my problem. New ticket in hand and calmer, I was on to this woman in minutes. She was one of those people who makes things more complicated than they need to be–or at least seem more complicated–so she can be a hero when she facilitates resolution. She didn’t give me anything that wasn’t already mine (or my right) and didn’t add any value to the transaction, though it initially seemed as if she did. She made me think I couldn’t live without her. We all know people like that, but I hope I’m not one of them. Why spend my limited resources and energy complicating the simple when I could use it instead to move forward? I don’t want to try to protect my job by adding false importance where it’s not appropriate; I want to add real value. You know, a reassuring smile and a don’t-worry attitude would have added more real value, Ms. Gate Agent. It doesn’t always have to be hard.